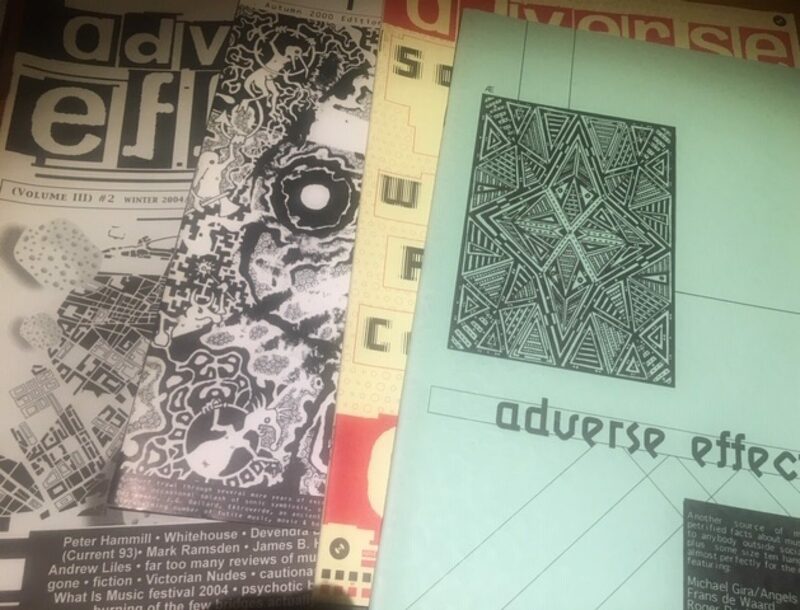 Adverse Effect began in 2000, following the demise of Grim Humour fanzine several years before. The same as its predecessor, it is dedicated to music, film, literature and art generally emanating from those less explored or documented areas of contemporary culture whilst, at the same time, it remains open to supporting those who have equally impacted on us over the years. Whilst a physical version of the magazine will once again appear soon, for the first time since 2005, this online space aims to both at least tie up some loose ends gathered during the interim and create a platform for material the physical version simply will not have room for. News on the physical magazine will appear soon in the appropriate section. In the meantime, however, please keep visiting here. More reviews and features will be added. Review material (music, books and films) is also welcome, but please note that we do not have time for links and downloads. Only physical formats are welcome. Thank you. No unsolicited material will be published, although more people interested in contributing to Adverse Effect are welcome to get in touch.